Residents of West Virginia are slowly being told to turn back on their faucets after a chemical spill near the state capital last week contaminated the water supply used by around 300,000 people. 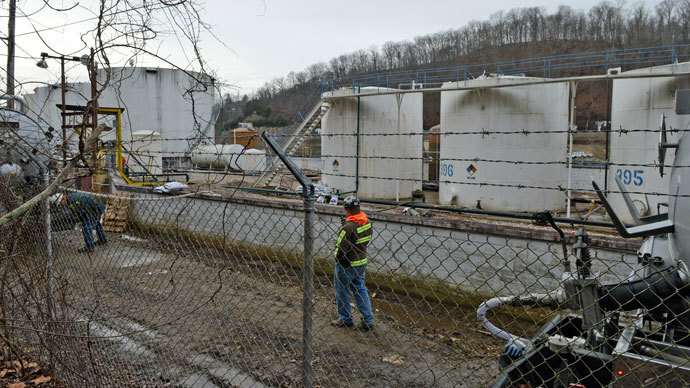 Officials started lifting the “do not use” orders early Monday in parts of downtown Charleston, WV four days after nearby tanks owned by Freedom Industries began leaking a coal-cleaning chemical near the Elk River. "We have made a lot of progress, but I ask all West Virginians to remain patient as we work to safely restore service to all areas," Gov. Earl Ray Tomblin said in a statement early Monday. 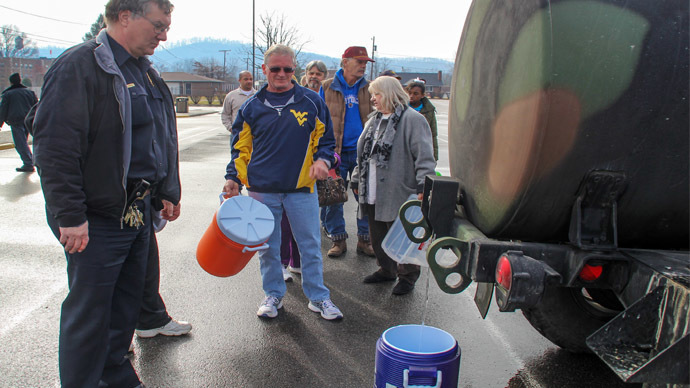 From his official Twitter account on Monday, Tomblin began circulating instructions from West Virginia American Water showing residents how to safely flush their plumbing of any contaminated water still contained within their pipes. 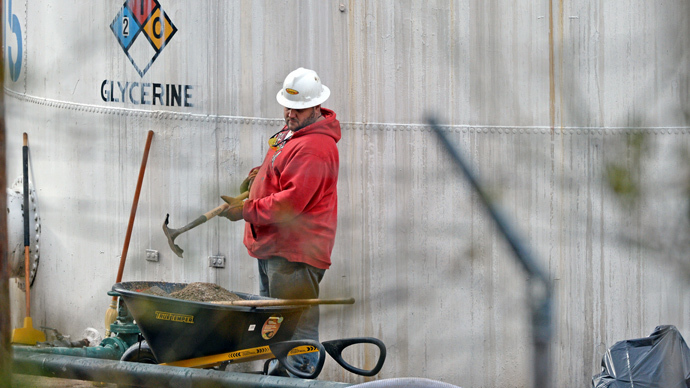 The flushing process reportedly takes around 20 minutes, but the company is advising that only West Virginians in designated zones clean their systems when instructed due to the sheer number of residents impacted. “We can’t have all the customers doing this protocol all at the same time or it could hinder our recovery efforts,” Jeff McIntyre, the company’s president, told West Virginia Metro News on Monday. The first zones scheduled for flushing on Monday include a portion of downtown Charleston containing four major hospitals. Metro News reported that that region uses on average around 60 percent of the water processed from the local plant. Meanwhile, though, authorities are being asked to explain why they let Freedom Industries conduct such volatile operations so close to a major urban center and the area’s water treatment plant, located around 1.5 miles downstream from the facility. 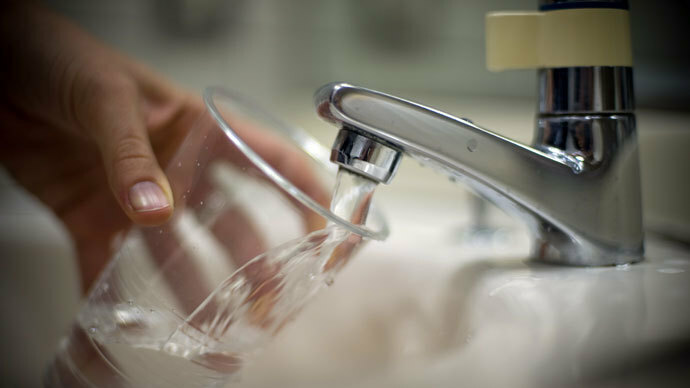 Within hours after the leak was discovered last Thursday, residents across nine counties were told to use tap water for nothing other than flushing toilets or fighting fires. Gov. Tomblin declared a state of emergency, and United States President Barack Obama approved federal assistance to be sent to the region. 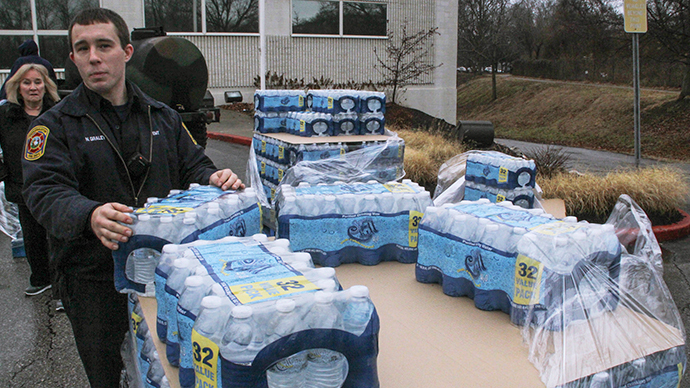 The spill caused more than a quarter-million residents in the area to go without water for days, and area schools and shops were forced to close. Some now say that might now have happened, however, had regulators and other officials took note of the paperwork filed early last year by Freedom Industries. “Last February, Freedom Industries sent state officials a form telling them the company stored thousands of pounds of a coal-cleaning chemical called 4-methylcyclohexanemethanol in the storage tanks at its Etowah River Terminal,” journalist Ken Ward Jr. recently reported for the West Virginia Gazette. Ten months later, though, that very chemical was found to have leaked from Freedom Industries’ tanks and as a result jeopardized the well-being of hundreds of thousands of people. Additionally, Ward found, the US Occupational Safety and Health Administration, or OSHA, admitted that they had no record of the 4-methylcyclohexanemethanol operation being conducted by Freedom. As of Monday, the Christian Science Monitor was reporting that as much as 7,500 gallons of the chemical could have leaked from the 40,000 gallon tank, but investigators have yet to determine when exactly the incident began. "There's no question that they should have called earlier," West Virginia Department of Enviromental Protection Secretary Randy Huffman told the CSM.